The perfect all-in-one zoom is a lens for every photographer’s bag. It’s just too convenient not to have. Everyone from National Geographic professionals to enthusiasts purchasing their first lens has a story about how it’s been the tool that saved the day because of its versatility and the fact that it was on the camera when the decisive moment happened. Originally designed for the NEX line, the Sony 18-200mm f/3.5-6.3 LE is compatible with APS-C format bodies like the α6300 and α6000, the 11X zoom range covers the full-frame equivalent of 27-300mm. Even with that broad range, the lens is both small and lightweight (2-3/4(d) x 3-7/8(l)" and 16.3ounces). If the 18-200mm zoom range is the soul of this lens, the built-in Optical SteadyShot technology is its heart. The combination of 11x zoom and stabilization makes the lens an invaluable tool for travel photography in particular. When you can see something out of the corner of your eye, turn, zoom and shoot and know that the shot will be sharp and free of camera-shake-induced motion blur, you’ll feel like there’s nothing you can’t capture. When you don’t know just what to expect on a day of shooting, this is the lens you want to have on your camera. From sweeping landscapes through portraits to sports and wildlife, this lens will cover it all. It’s also cost-effective coming in at $749 during the 2016 Semi Annual α Lens Promotion. 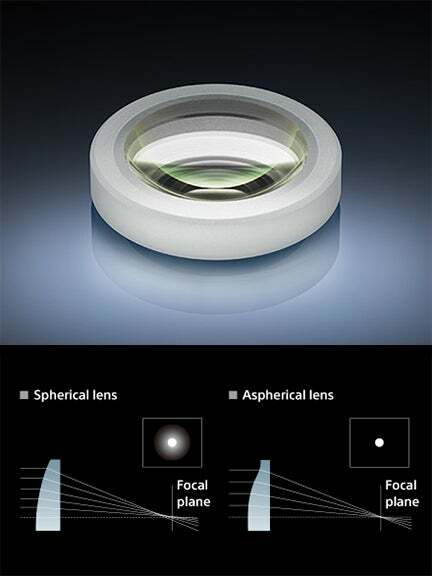 Aspherical lens design dramatically reduces spherical aberration while also reducing lens size and weight. Spherical aberration is a slight misalignment of the light rays projected on the image plane. This is caused by differences in refraction at different points on conventional spherical lenses which degrade image quality in large-aperture lenses. 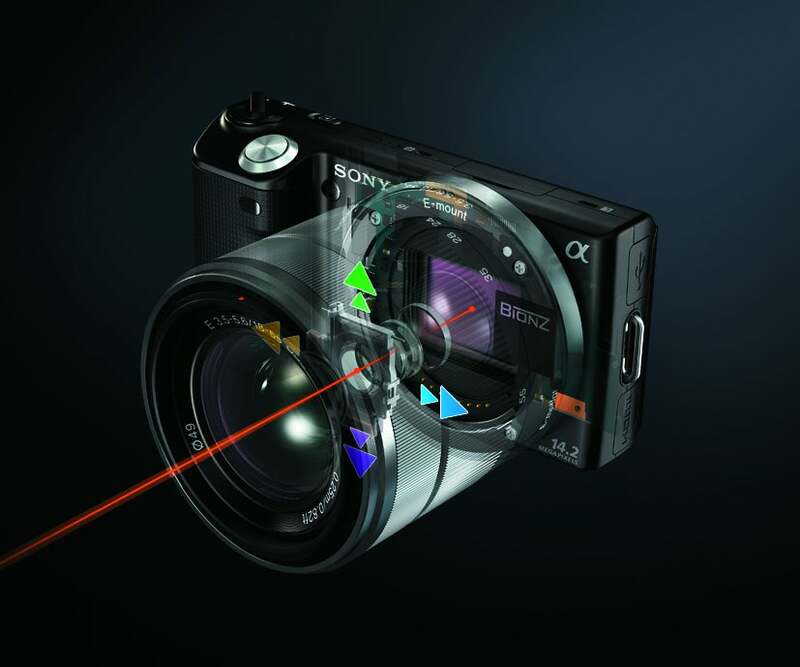 Specially shaped “aspherical” elements near the diaphragm restore alignment of light rays at the image plane, maintaining high sharpness and contrast even at maximum aperture and can also be used at other points in the optical path to reduce distortion. Well-designed aspherical elements can reduce the total number of elements required in the lens, thus reducing overall size and weight. Advanced Aspherical (AA) elements are an evolved variant, featuring an extremely high thickness ratio between the center and periphery. AA elements are exceedingly difficult to produce, relying on the most advanced molding technology to consistently and precisely achieve the required shape and surface accuracy, resulting in significantly improved image accuracy and quality.